The purposes for documenting our Core Values are to: (1) clarify God’s mission for Compass—finances God’s way, (2) maintain focus on the manner in which God wants us to fulfill our mission, (3) ensure that we are faithful to practice what we teach, (4) promote unity in the Compass family and help new members understand our culture, and (5) effectively pass along these values to future generations. The reason the ministry is named Compass—finances God’s way is to remind us that God’s way of handling money and possessions is much different and much better than the way most people conduct their finances. “‘For my thoughts are not your thoughts, neither are your ways my ways,’ declares the Lord. As the heavens are higher than the earth, so are my ways higher than your ways and my thoughts than your thoughts” (Isaiah 55:8-9). The purpose of Compass is to help people apply God’s financial principles, to draw them into a deeper love relationship with Jesus Christ, and to encourage them to submit to Him as Lord. “No one can serve two masters. Either he will hate the one and love the other, or he will be devoted to the one and despise the other. You cannot serve both God and Money” (Matthew 6:24). Compass belongs to the Lord, not to the board or those serving in the ministry. “Everything in the heavens and earth is yours, O Lord, and this is your kingdom. We adore you as being in control of everything” (1 Chronicles 29:11, TLB). We are all servants in the work of His kingdom. 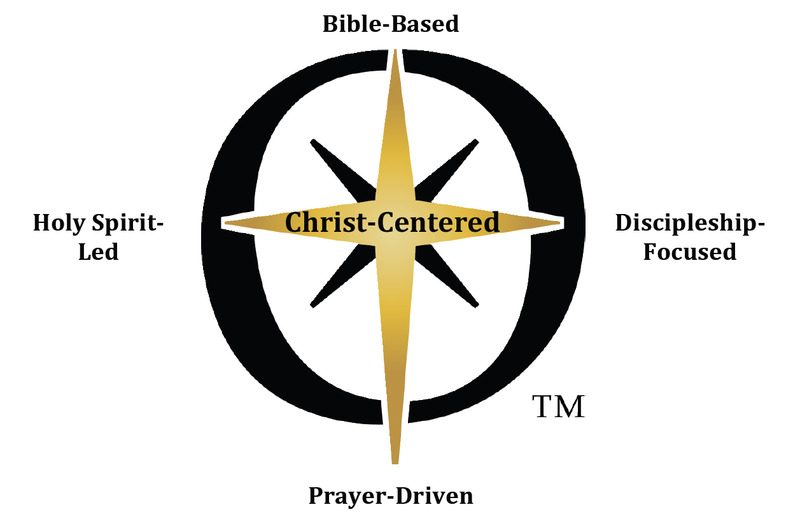 We affirm the absolute centrality of Jesus Christ to Compass. “He is before all things, and in him all things hold together. And he is the head of the body, the church; he is the beginning and the firstborn from among the dead, so that in everything he might have the supremacy” (Colossians 1:17-18). We will not trust in clever leadership, but rather, humbly depend upon Jesus Christ to direct the ministry. “For I resolved to know nothing while I was with you except Jesus Christ and him crucified. I came to you in weakness and fear, and with much trembling. My message and my preaching were not with wise and persuasive words, but with a demonstration of the Spirit’s power, so that your faith might not rest on men’s wisdom, but on God’s power” (1 Corinthians 2:2-5). We recognize that true fruitfulness of ministry only flows out of a relationship with Him. “I am the true vine and my Father is the gardener…No branch can bear fruit by itself; it must remain in the vine. Neither can you bear fruit unless you remain in me. I am the vine; you are the branches. If a man remains in me and I in him, he will bear much fruit; apart from me you can do nothing” (John 15:1-5). The more dependent and obedient we are to Christ, the more fruitful the ministry. Serving in ministry is not an end in itself; rather, it is an opportunity to worship God and express our love for Christ. “Therefore, I urge you brothers, in view of God’s mercy, to offer your bodies as living sacrifices, holy and pleasing to God – this is your spiritual act of worship” (Romans 12:1). In Compass, we cannot truly be Christ-Centered, Bible-Based, Prayer-Driven, or faithfully live by God’s Principles, without being led by the Holy Spirit. In the same way that Jesus depended on the Holy Spirit to reveal the will of the Father, we too are completely dependent on Him to reveal God’s will for Compass and for each of us as individuals. “But the Counselor, the Holy Spirit, whom the Father will send in my name, will teach you all things and will remind you of everything I [Jesus] have said to you” (John 14:26). Only the Holy Spirit can reveal the truth of God’s Word, protect us from deception, and ensure that Compass will build on the foundation of Christ works that last. The materials and organization including its policies, strategies and activities must be rooted in the truths of God’s Word, despite any external pressures to compromise. In the past, vibrant churches and ministries have lost their spiritual vitality because they no longer believed in the power and authority of God’s Word. “I urge, then, first of all, that requests, prayers, intercession and thanksgiving be made for everyone – for kings and all those in authority, that we may live peaceful and quiet lives in all godliness and holiness. This is good, and pleases God our Savior, who wants all men to be saved and to come to a knowledge of the truth.” (1 Timothy 2:1-4). “Therefore go and make disciples of all nations, baptizing them in the name of the Father and of the Son and of the Holy Spirit, and teaching them to obey everything I commanded you. And surely I am with you always to the very end of the age” (Matthew 28:19-20). “You yourselves know how I lived among you…” -(Acts 20:18, ESV). “We loved you so much that we were delighted to share with you not only the gospel of God but our lives as well…” (1 Thessalonians 2:8). “Whatever you have learned or received or heard from me, or seen in me – put it in to practice. And the God of peace will be with you” (Philippians 4:9). We recognize that the greatest threat to any ministry is not under-capitalization or under-exposure, but under-obedience. If we replicate fans without replicating obeyers within one generation the vision for Compass will be lost. We recognize the need to invest in disciple relationships with leaders until, like Jesus and Paul, we are replicating faithfulness, not just ministry fans. Many people love to talk about money, even Biblical principles. They desire to be teachers but far fewer know how to faithfully obey them. In discerning whom God is calling to serve with us, we realize that the enemy will attempt to bring those whose hearts are not to fully obey the Lord, or whose motives are mixed. We will depend on the Holy Spirit to help us discern and grow according to God’s Word. “But, dear friends, remember what the apostles of our Lord Jesus Christ foretold. They said to you, ‘In the last times there will be scoffers who will follow their own ungodly desires.’ These are the men who divide you, who follow mere natural instincts and do not have the Spirit” (Jude 19-20). “I charge you, in the sight of God and Christ Jesus and the elect angels, to keep these instructions without partiality, and to do nothing out of favoritism. Do not be hasty in the laying on of hands, and do not share in the sins of others. Keep yourself pure” (1 Timothy 5:21-22). This encourages us to allow God to multiply ministry in the fullness of His time, while being daily diligent with the task before us. As we practice contentment and obedience, and discipling others, we will experience the joy of the Lord, and God will complete the work.